St. Louis! 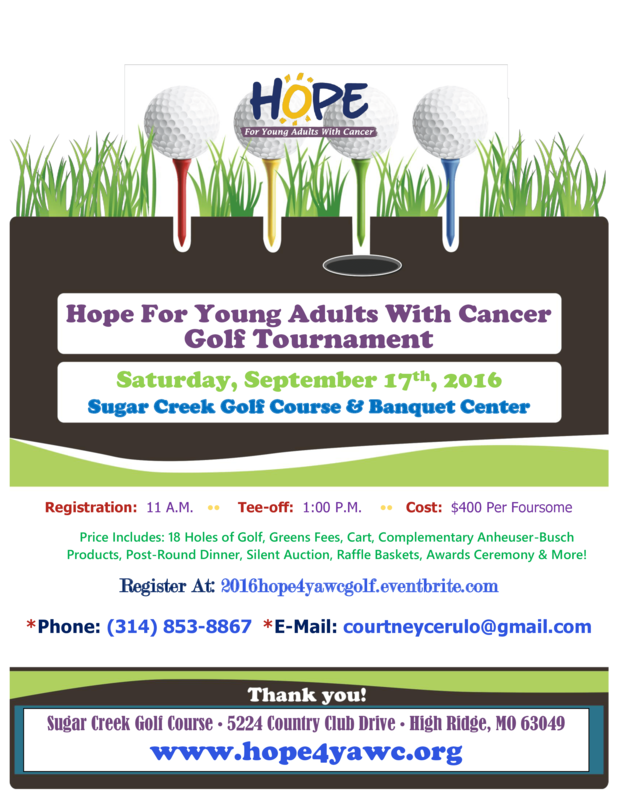 Join Us On Saturday, September 17th For The 2016 Hope for Young Adults with Cancer Golf Tournament At Sugar Creek Golf Course. The Cost Is $400 Per Foursome Tax-Deductible & Includes 18 Holes of Golf, Greens Fees, Cart, Complementary Anheuser-Busch Products, Post-Round Dinner, Silent Auction, Raffle Baskets, Awards Ceremony & More!